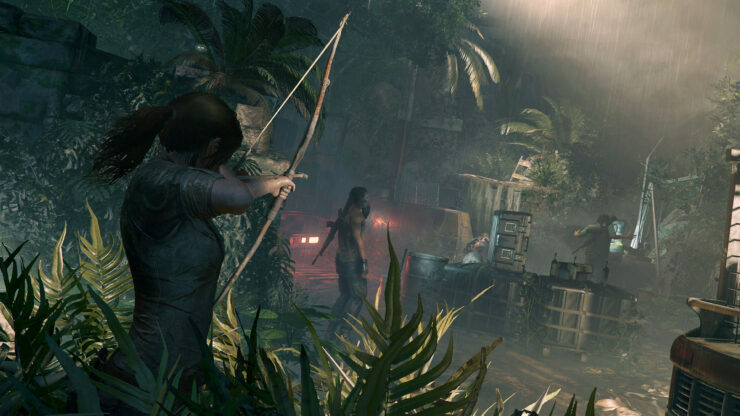 We’ve heard before that solving puzzles in Shadow of the Tomb Raider will be more dangerous than in the previous games. Now, Game Director Daniel Chayer-Bisson said in no uncertain terms in an interview with EDGE magazine (July 2018, issue 320) that this will be the most difficult game in the history of the franchise. This will be, I would say, the most difficult Tomb Raider of all the Tomb Raiders. That is important because this is a more experienced Lara. This is going to be bigger, it’s going to be harder, and that tomb shows the first ever puzzle you’ll solve and it’s very difficult. The checkpoints are not far away from when you die, so having these gruesome deaths make you feel bad to fail, and do everything to stay alive. Lead Writer Jill Murray added that the antagonist will be powered by motivations as compelling as Lara’s, with the goal to give gamers pause on what they’re doing through the tomb raider. […] it’s kind of a gift to be working on something that you know people are looking forward to, and that so many people have put a lot of work into establishing such a solid bedrock for. We’re able to say, ‘Okay, what has everybody already taken care of?’, and go deeper into things they maybe didn’t get to. We get to see Lara in conflict with herself. We also have an antagonist who could be a protagonist in his own story – his motivations are just as compelling as hers. It’s going to give players a lot to think about, and question her motives as much as she does, perhaps. I think that’s something that we can provide in this kind of game that is much harder to access in a multiplayer game.